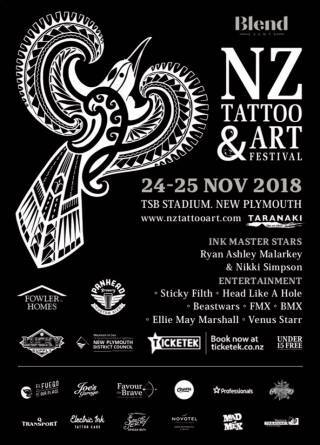 Australasia’s biggest tattoo event the New Zealand Tattoo & Art Festival is back for the 7th time on the 25 & 26 November 2017 at the TSB Stadium in New Plymouth! 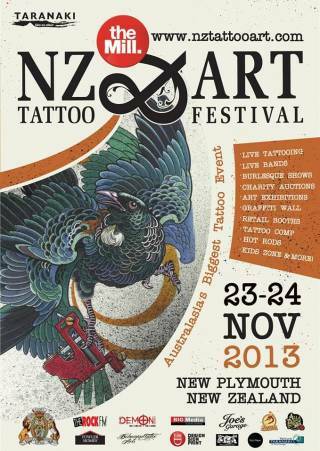 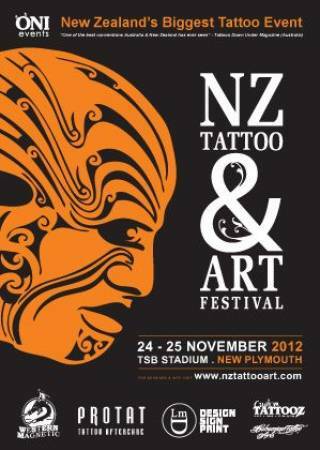 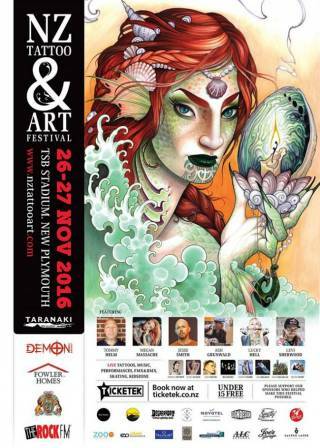 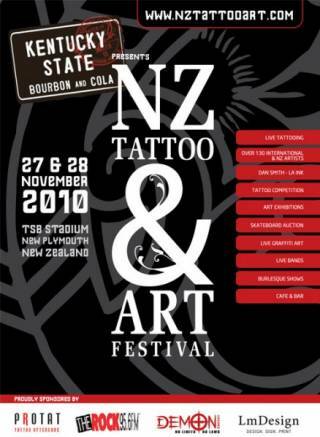 The best artists in every style of tattooing are coming to New Plymouth to tattoo you! 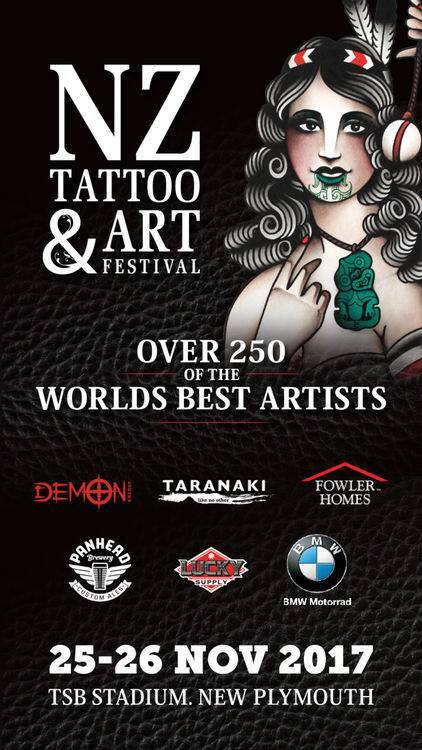 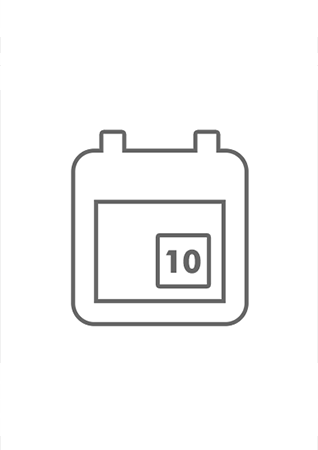 Tattoo appointments can be made by contacting the artists direct – once announced, make sure you include the following in your email, size of tattoo, placement on body, any reference pics you have & your budget, lots artists will also be doing walk up tattoos all weekend long.